The Troubleshooting Guide for Keylock 7700 is Now Available! For the benefits of our resellers, we have recently prepared a troubleshooting guide for our mechanical door lock unit, Keylock 7700! You may encounter some issues, such as a faulty keypad, the absence of light on the scanner and being unable to enrol a card at the door lock. However, with this extensive troubleshooting guide, you can lock all your troubles away and allow your Keylock 7700 to secure your premises as firmly as it was meant to. The troubleshooting guide can be accessed at the FingerTec Technical Tips website. Log in to the website by clicking here and head on to the Troubleshooting page located at the side bar. 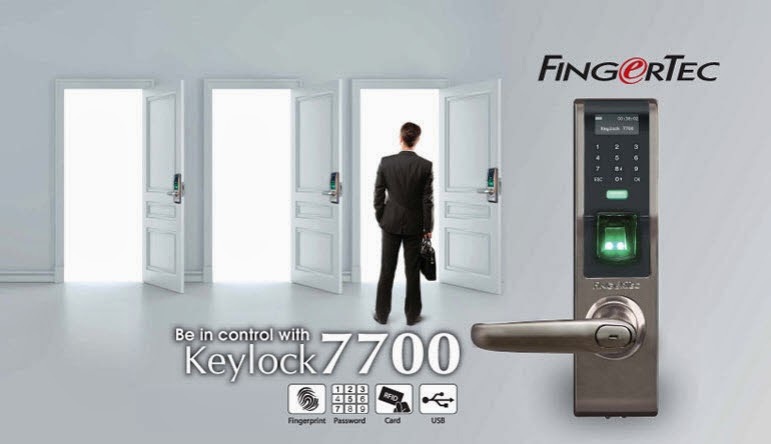 The guide for Keylock 7700 is found under Fingerprint Door Lock. For additional guidance, kindly email our Support Team at support@fingertec.com.